For Nicholas Jackson, a chance encounter with some Burgundian beauties would steer his academic aspirations down a more vinous path. Here he talks to WSET about the privileges – and the perils – of life as a wine buyer for Sotheby’s, and offers advice for anyone hoping to work in the lucrative world of wine auctions. How and when did you discover your penchant for wine? When I was studying for my PhD in Theology, having never seriously thought about wine before, I went along to the university wine society’s Hospices de Beaune tasting. I had no idea what Burgundy was, but in common with so many other people, it was Burgundy that converted me to wine! After that night I learned everything I could about wine. I also joined Cambridge’s blind wine tasting team and took part in the annual Pol Roger match against Oxford – which we won, I might add! Pretty soon I had decided to abandon my academic career and pursue wine. After joining Sotheby’s as a wine specialist, you embarked upon your WSET Diploma studies – what inspired you to pursue formal wine training and how have wine certifications impacted your career? I suppose WSET qualifications give you two things: knowledge and appreciation. Ultimately, anyone can learn the ‘trivia’ of wine – which grapes are grown where etc. – but the WSET Diploma taught me how to really appreciate wine, not only in terms of quality but also in terms of the distinctiveness of regions, varieties, climates, terroirs etc. I love being able to appreciate these differences. Someone once said to me that whatever job title you have in the wine industry, every job is sales. It was a great piece of advice and in my opinion it’s that appreciation of wine that sells bottles, not necessarily the knowledge side of it (although that’s the foundation for everything else!). Customers love it when you can talk confidently about why they would enjoy this bottle rather than that one, and I think that WSET gives you that confidence. I just took (and passed) the Master of Wine theory and practical exams, and the practical part of that exam emphasises this ‘appreciation’ aspect even more. A career as a wine buyer is often seen as a dream job. In reality, what are the pitfalls? It is a great job, and a privilege, to source and buy wines that make people happy. That’s the fundamental joy of our business. But it’s certainly true that there are many aspects to it that I hadn’t anticipated. I spend my life saying no. No, I will not attend your tasting – because your portfolio of wines is not what I am looking for. No, I cannot sell your wine even though it may have won numerous awards, because I can’t sell a Pet Nat to my clients who are expecting Dom Perignon. No, your wine is simply not good enough for me to stock. There are ways of sugar-coating all of these, but in the end, people appreciate honesty and feedback. But I have had to develop a thick skin to keep on disappointing people. A huge part of the job is logistics (unless you have colleagues who are employed just to do these parts). For example, I now know a great deal about US import labels and the necessary font sizes on them; about how you consolidate shipments in a container to avoid excess shipping charges; about when blankets are necessary during air shipments; about exchange rates. You have to stay on top of innumerable practical details to ensure your wine arrives safely, cost-effectively, on time and in full legal compliance. The world of wine auctions can often seem enigmatic and impenetrable to outsiders. What advice would you offer someone looking to get a foot in the door? Work somewhere else in the wine business first, ideally with a company that deals (at least in part) with fine wine. Fine wine is wine that has a secondary market value and that is what we sell at auction. Learn as much as you can about fine wine, especially Bordeaux, which is the backbone of auction sales. Burgundy is harder to get to grips with, but knowing the best producers is essential. Learn something about the worldwide auction market: what sells and what the current trends are. And finally, don’t be under any illusions about what the work is like: it may seem glamorous, but in reality, a lot of it is time spent in cold cellars and warehouses, hauling heavy cases around. How, if at all, has the wine auction world changed during your six years working with Sotheby's? When I started in 2011, the Hong Kong market had just peaked. Ever since, wine prices have stabilised in Asia. Prices are more consistent worldwide, which ultimately is healthy for the market. But the large number of new buyers in Asia has certainly caused demand for certain rare wines – particularly top Burgundy – to surge. And I do not think we have seen the end of price rises for rare Burgundy! Other than a PhD in Theology and Literature(! ), what qualifications would you recommend to those hoping to start a career as a wine buyer? I couldn’t really recommend the PhD at all – other than the fact it gave me plenty of time to work in the wine shop! 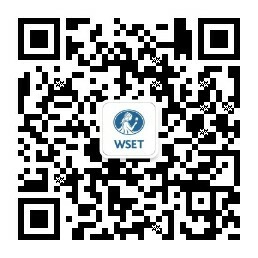 For people interested in the off-trade wine business, there is no substitute for WSET studies. They are rigorous, comprehensive and give an excellent grounding in all aspects of our business. And of course, try and talk to as many wine producers, importers, wholesalers as you can – they can provide the all-important commercial perspective. You’ve worked in wine in both Europe and North America. If you had to choose, would you pick Old or New World wines? Both! The glory of the wine world in 2017 is the access we have to wines coming from so many different countries. Even a generation ago, this was unthought-of. Try everything! Sell everything! Enjoy everything! Nicholas completed his WSET Diploma in Wines and Spirits with The International Wine Centre New York. He left Sotheby’s at the end of 2018 and gained his MW in 2019.